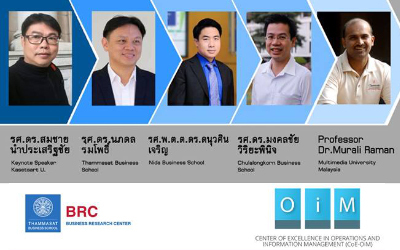 The FREE one-day seminar will be held at Thammasat Business School, Tha Prachan on September 18 from 9:00 – 16:00. 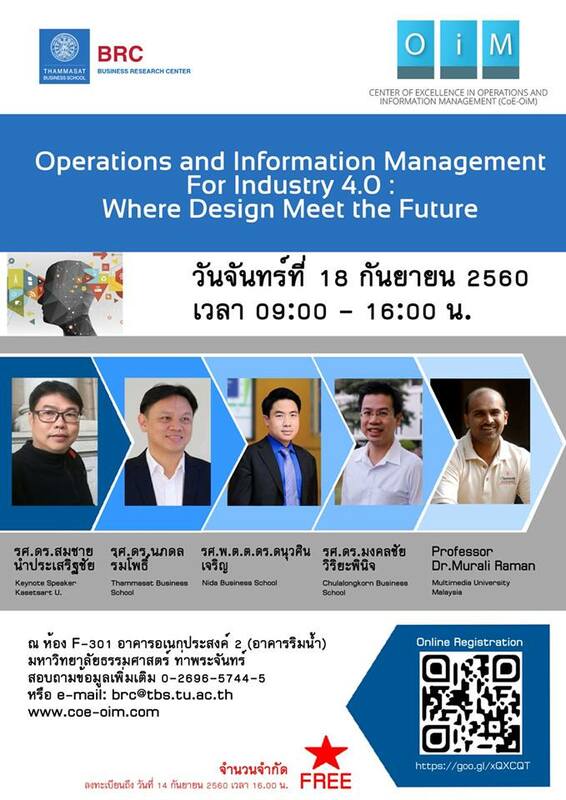 The morning sessions (9:00 -12:00) will have excellent research discussions by top researchers from Kasetsart University, Chulalongkorn Business School, Nida Business School and Thammasat Business School. For REGISTRATION, please contact 02-6965744-5 or email: brc@tbs.tu.ac.th Registration end on September 14 at 16:00.